In this video tutorial we will show you how to create reflection of the object in the water with Adobe Photoshop. 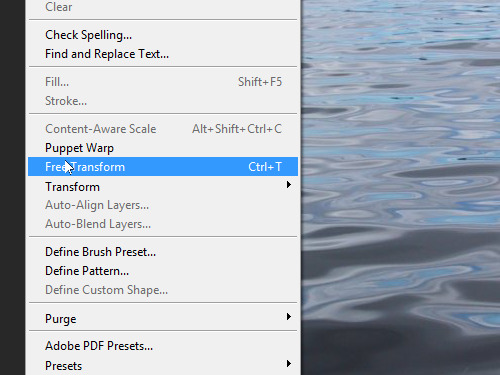 In order to create reflection of the object in the water in the Adobe Photoshop you have to launch the program. Go to the “File” menu and choose “Open” option. In the appeared window select the image of water and press “Open” button. Choose the “Horizontal Type Tool” in the toolbar of the program, type the text in the image area and transform it as you need using “Free Transform” option from the “Edit” drop down menu. Double click on the text to apply the transformation and place it where you need in the image area. 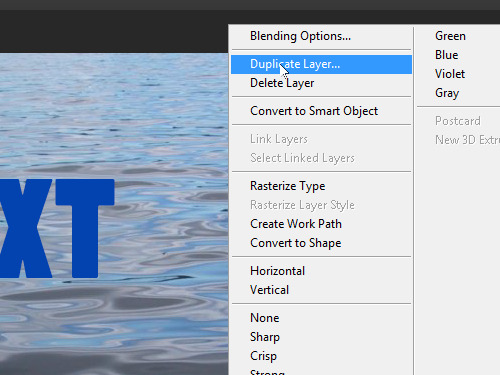 Go to the “Layers” palette, right click on the text layer and create the copy of the layer using the “Duplicate Layer” option from the appeared menu. In the pop up window click “OK” to create the layer copy. 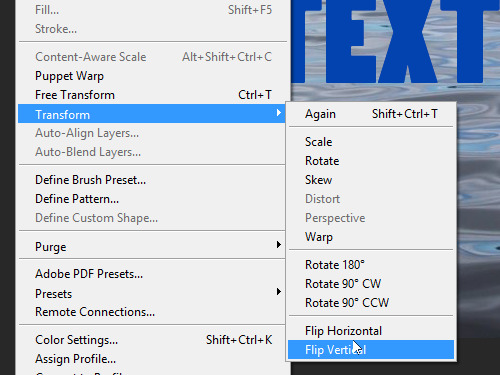 Open the “Edit” menu, choose “Transform” and choose “Flip Vertical” in the submenu. 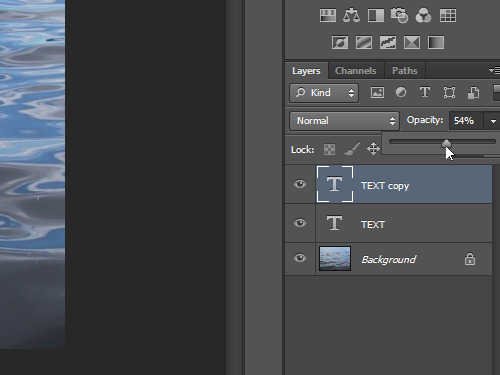 Move down the layer copy and change the layer opacity as you need. 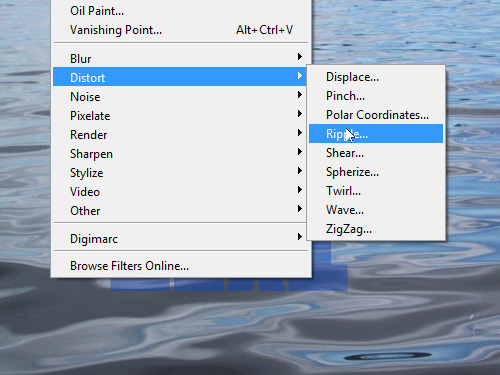 Open the “Filter” menu, choose “Distort” option from the drop down menu and choose “Ripple” in the submenu. In the pop up window click “OK” to rasterize the type. In the following window set the amount with slider if you need, then press “OK”. 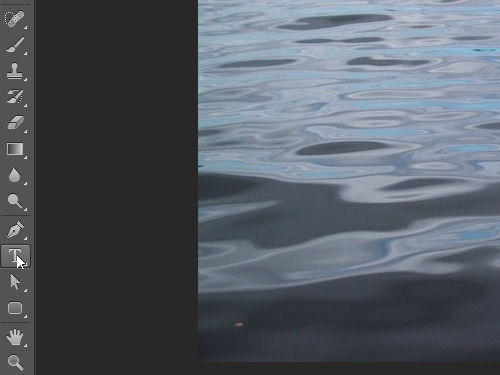 As you can see, reflection of the object in the water has been successfully created with Adobe Photoshop tools.